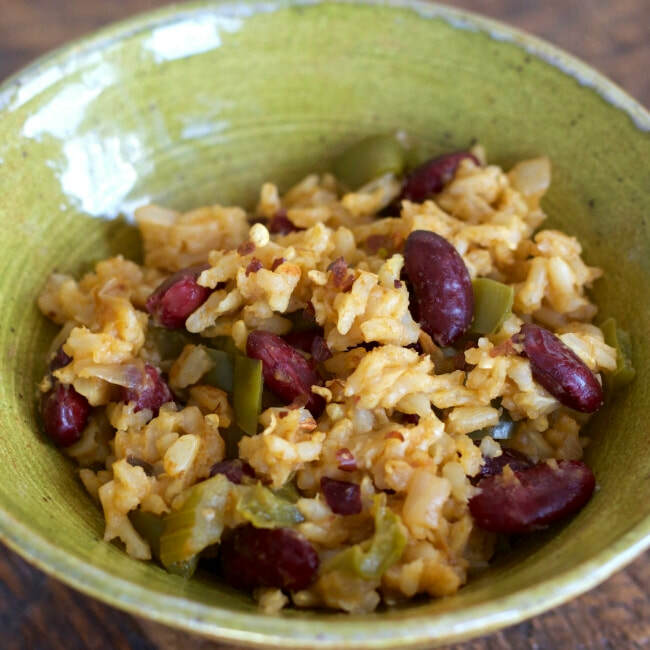 Brown rice and beans is a perfect meal. It's quick and easy, budget friendly, and you're likely to have most of these ingredients in your pantry. If you don't have fresh vegetables on hand, feel free to use frozen ones instead! Cook for 2 to 2 ½ hours (depending on how tender you like your rice).